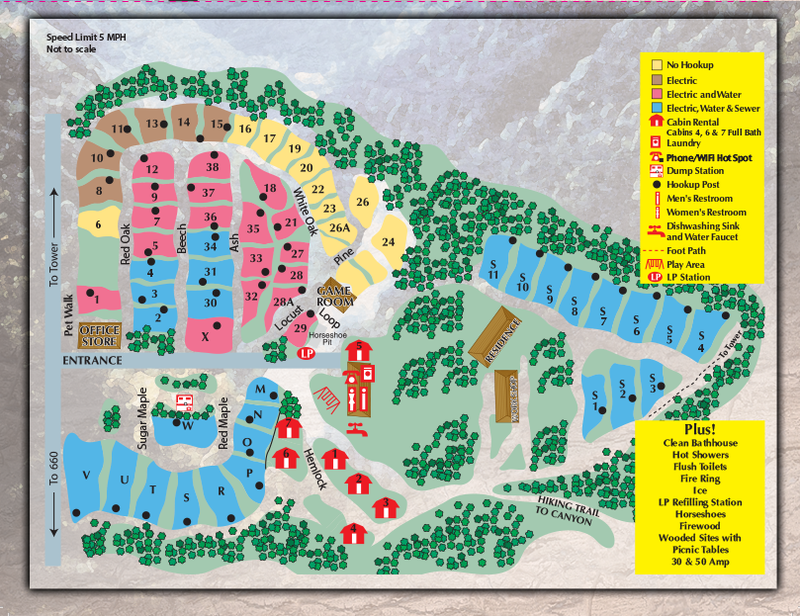 The campground is nestled in the woods approximately 1 mile from The Pennsylvania Grand Canyon. The wooded surroundings provide not only shade, but also privacy. Each camping site is provided a picnic table and fire ring. We offer several different hookup options. One is sure to meet your needs. Whether you need tent sites with hookups for power, or prefer to rough it with no electricity, we have tent sites to meet every need for your type of camping getaway. Several types of hookup options are available. Our RV camping sites are spacious and individually surrounded by some trees, bushes and or vegetation to give you some privacy and the feeling of the true outdoors. We have a variety of sites that will meet your needs whether you have a Truck Camper, a 45’ Motorhome or anything in between.